Chicago Sky vs Indiana Fever Don't miss this preseason match up! Tuesday, May 14th 11:00 am. Doors open at 9:30 am Ticket Prices: $298.00, $185.00, $165.00, $155.00, $108.00, $52.00, $36.00, $28.00, $16.00, $13.00 Ticket prices increases $2.00 day of game. 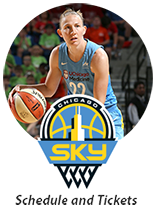 Chicago Sky vs Seattle Storm Sunday, June 9th 5:00 pm. Doors open at 3:30 pm Ticket Prices: $448.00, $205.00, $185.00, $175.00, $123.00, $62.00, $43.00, $33.00, $21.00 Ticket Prices increase $2.00 day of game. 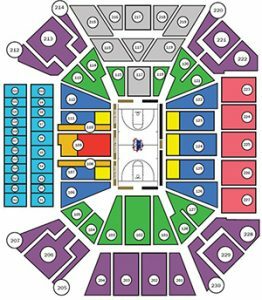 Chicago Sky vs Indiana Fever Friday, June 21st 7:00 pm. Doors open at 5:30 pm Ticket Prices: $298.00, $185.00, $165.00, $155.00, $108.00, $52.00, $36.00, $28.00, $16.00, $13.00 Ticket prices increases $2.00 day of game.